Imagine the following. The magician holds a slate that was examined by a spectator. 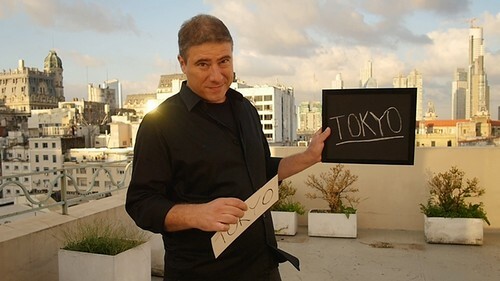 He writes a prediction on it. The spectator makes a free choice of, for instance, a country, a celebrity or an animal. THERE ARE NO FORCES. The choice is completely free. Finally, the prediction matches exactly. You can use any group of words. It is totally customizable. 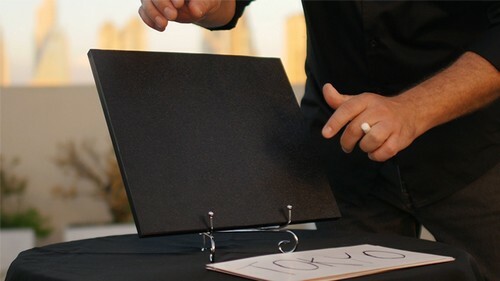 It works great for parlor magic or for corporate shows. You could use brand names, for example. 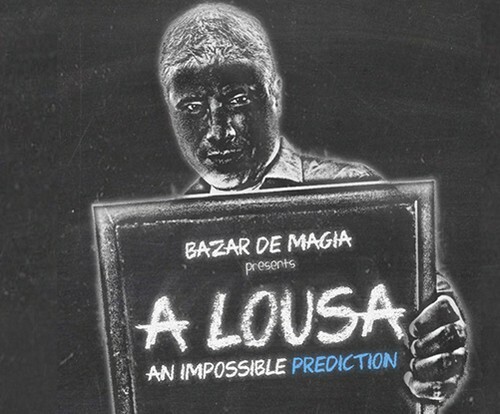 It is a brand new concept created by Alejandro Muniz, FLASOMA 2017 Grand Prix Winner (Latin American FISM). 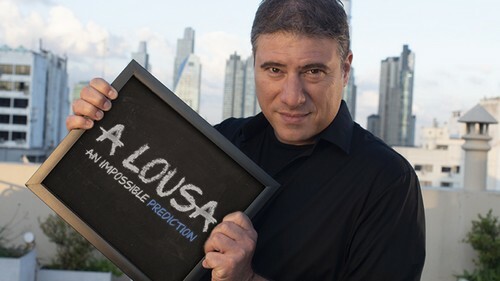 A Lousa was completely sold out at the last magic convention in Argentina (2018). Instrucciones online únicamente. En español e inglés.